Minimalist line and crimson color fields contrast starkly with the sizzling yellow background. Verita finely tunes rectilinear elements into composition of perfect balance. "This picture reveals movements of the renewal of colors that harmonize with the modern atmosphere," she says. 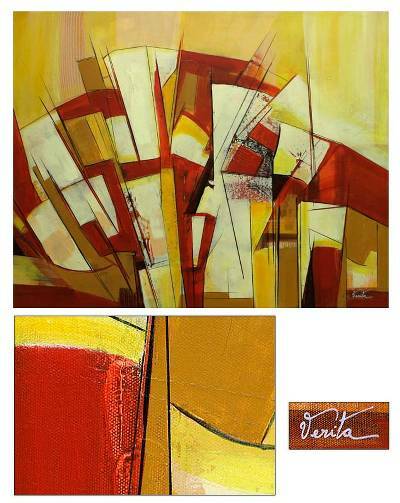 You can find 'unpublished' by Verita in paintings categories such as Abstract Paintings, Abstract Paintings and Acrylic Paint Paintings. Enjoy exploring these sections for other Novica treasures.